Back in January I was sent the Elemis Dynamic Resurfacing collection* to try out. I posted about the collection at the end of January because I thought it wouldn't be available for much longer, but you can actually still find this on the Debenhams website if you want to get hold of the complete set. The set is a real bargain so if you like the sound of any of these products I'd recommend grabbing it. Today I'm back with a review of each of the products included in the collection. Details of each product can be found in my original post here. Although I have used a few acid products here and there I'm still quite new to them, so I was a little nervous about starting a routine featuring several resurfacing products. Since trying these products I've started using a few different acid products regularly and my skin is probably looking better than ever. 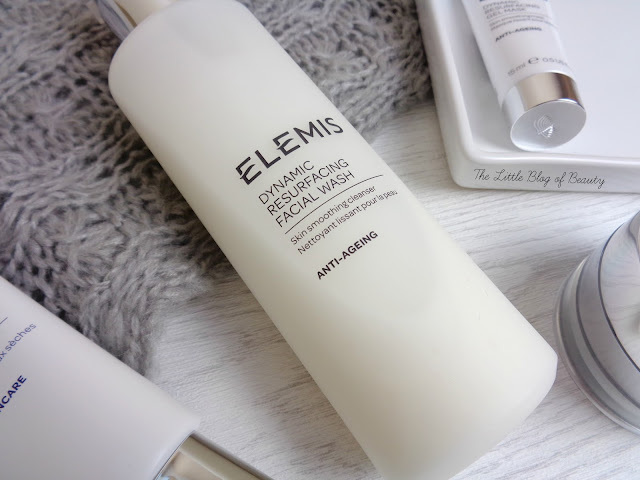 I originally started using the Dynamic Resurfacing facial wash when my skin was recovering from the reaction I suffered earlier this year. My skin had become so dry and very flaky and this helped to bring my skin back to normal once the reaction had settled down. This can be used twice a day and to begin with I did try using it both in the morning and evening but I reduced this down to just the evening as I think twice a day was too much for my skin. I currently use this once a week or every few days like I would a manual exfoliator. This is just like a standard cleanser, there's no tingling feeling when using this. I apply a few pumps to dry skin and massage in before adding some water to emulsify and then rinsing away. This doesn't dry out my skin at all and helps to get rid of any flaky areas I might have. I do like this product but I'm not sure I'd pay just under £30 for it. The product I was most cautious about trying turned out to be my favourite product included in the collection. The information on the website warns that you will experience a powerful tingling sensation when using the Dynamic Resurfacing gel mask and that rang alarm bells in my head. In the past products that are supposed to come with a 'tingle' have felt more like they're burning a few layers of skin off my face. So to begin with I approached this cautiously with a patch test on my cheek, which is the most sensitive area of my face and therefore the area most likely to react to a product. When all went well with the patch test I applied the product to my whole face and stayed close to the sink for a couple of minutes in case I needed to wash it off quickly. The first time I used this I didn't experience any tingling at all while the mask was on, but as soon as I washed it off I then got the tingling. Although I wouldn't quite describe it as tingling myself, more like a very fresh feeling, like I'd applied a really menthol or minty based product to my skin. This lasted for quite a while but was far from unpleasant. I've now used this mask a few times and sometimes I experience this while the mask is on and sometimes after I've washed it off. I have no idea why! The reason I like this product so much is because as soon as you wash it off you see instant, impressive results. My skin looks fresh and glowing and the pores over and around my nose are visibly tightened. This is the sort of product you want to use before going out somewhere or if you skin is looking dull and really needs perking up. I also have a sample of the Elemis Papaya Enzyme peel that I believe came with a magazine at the end of last year and that one is just as impressive as this one. I would love to purchase this or the papaya mask in full size but they are a little pricey at £49.50 and £32 respectively, so they might be a little out of my price range. 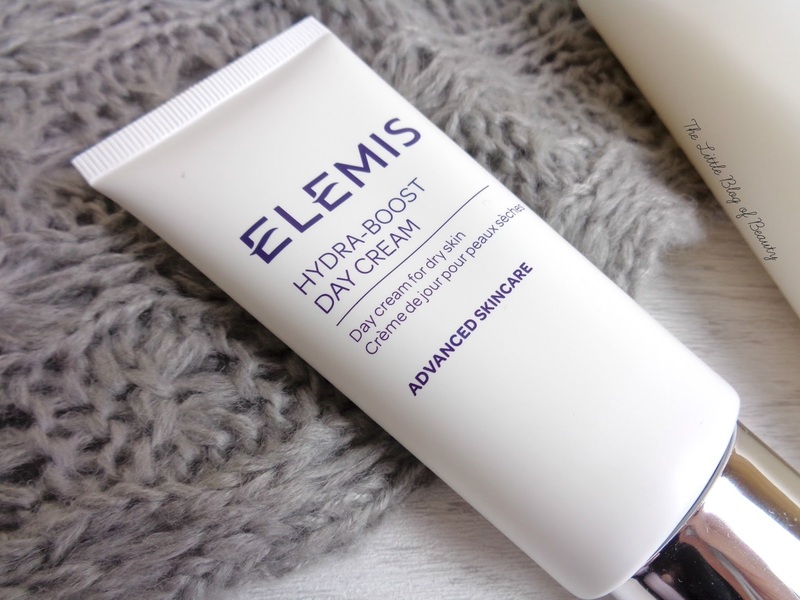 My second favourite product in the collection is the Hydra-Boost day cream. This is the only product in the collection that isn't resurfacing. I would imagine this is because resurfacing products increase your skins sensitivity to the sun and you should be wearing good sun protection while using them and for seven days after discontinuing use. So it's probably not ideal to apply a resurfacing product at the beginning of the day. The day cream comes in a squeezable tube and is quite a light cream, edging towards a gel-cream type consistency. This melts into the skin very quickly leaving no trace behind and leaves a lovely smooth base ready for make-up application. I really like how my skin feels after applying this. If my skin is a little dry and flaky this copes with it easily and keeps my skin hydrated through the day. 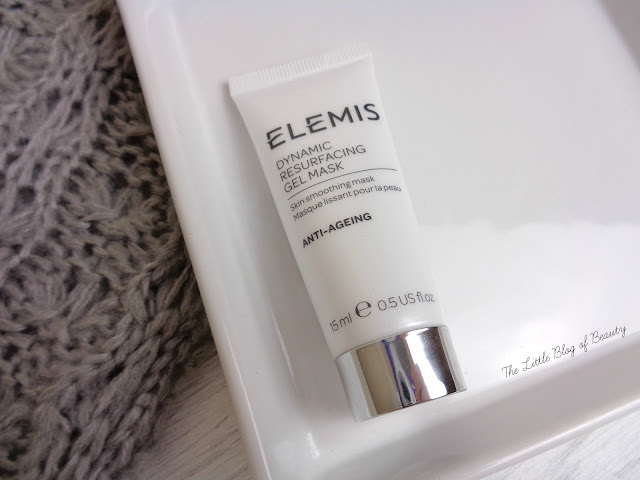 The Dynamic Resurfacing night cream comes in a pot rather than a tube but is similar to the day cream, maybe just a little thicker. The night cream is a good one, it absorbs well and deals with my dry skin, but I do personally prefer the day cream over this one. Overall I'm really impressed with the product in this collection and my first experience of Elemis products. The only thing that would put me off purchasing some of these products is that their prices are a little on the high-end side and so a little expensive for me. 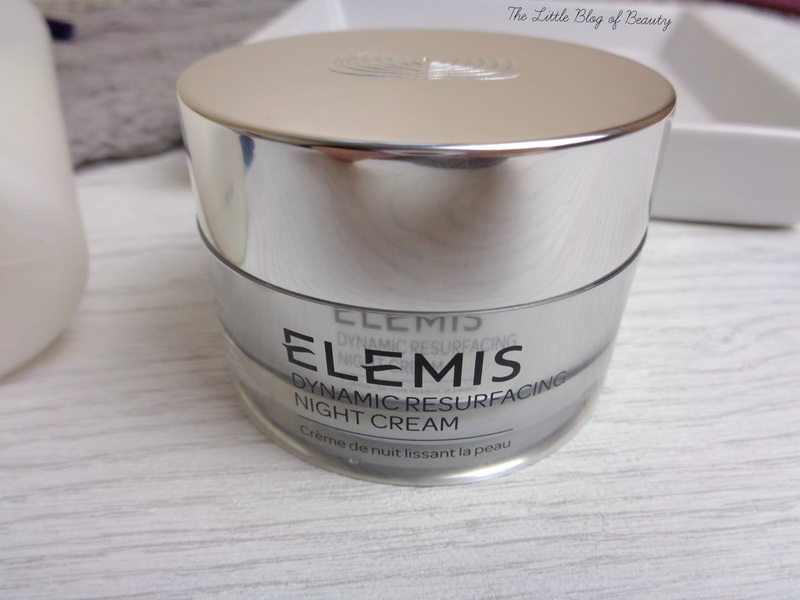 What Elemis products would you recommend? I'm amazed you've managed to enter the giveaway considering there isn't one! 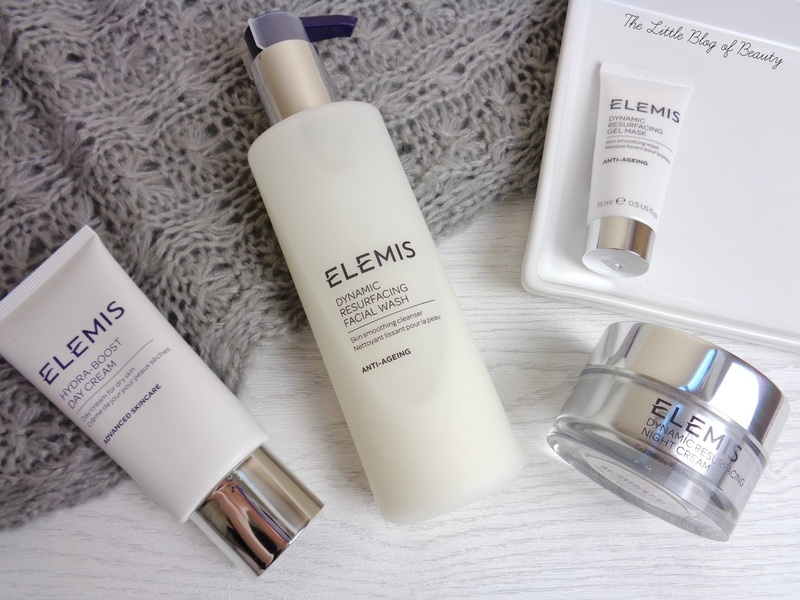 I'd love to give these a go, Elemis is such a fab brand!